Eight mattresses 4th model is exciting in that you can customize the mattress to your liking and even have one side firm and one soft for couples who may want different firmness levels. The Real Simple brand, known best for their widely popular magazine (which has millions of readers and covers a wide range of women’s interest subjects such as housekeeping and home care, child care, cooking, baking, and emotional well-being) has recently joined the ever-growing bed-in-a-box industry with their line of Real Sleep mattresses. Available in six different sizes (Twin, Twin XL, Full, Queen, King, and California King), this mattress is an all-foam option that is designed to offer both support and comfort. Like many other bed-in-a-box brands, the Real Sleep mattress is compressed and vacuum-sealed for the shipping process. Additionally, Real Sleep mattresses are available for shipping and delivery to anywhere in the entire United States (even non-continental states such as Alaska and Hawaii) as well as Puerto Rico; that being said, shipping to Alaska, Hawaii, and Puerto Rico does normally involve an additional fee. Also, the Real Sleep mattress is not currently available for purchase internationally. In any case, regardless of where you live, your Real Simple mattress will be delivered within a week of you placing your online order; it will arrive vacuum-sealed and packed within a cardboard box. Once you receive it, you will need to unpack it from the box and carefully cut open the plastic covering the mattress (take precautions in order to make sure that you do not cut the mattress itself during the unpacking process). Because the Real Simple mattress is constructed entirely out of various memory foams, it may take it some time to fully expand and regain its proper size and shape. According to various reports, this may take anywhere from just a few hours to up to a full day. Want great temperature regulation. This mattress is specially designed to offer fantastic temperature regulation. Thanks to the open cell design which promotes air flow, heat retention is not a problem with this mattress; instead of being trapped in the foam, heat is instead drawn away from your body to help keep you cool while you rest. Want supreme levels of comfort. Because the top layer of this mattress is made out of body-contouring comfort foam, it can provide tremendous comfort while you rest; it is also quite responsive, and will even adjust if you shift position. Want great support. Thanks to the high density base layer, this mattress has a strong and durable foundation that helps to provide you with excellent support while you rest. It is an especially great choice if you want targeted support for your neck, back, and hips, since it helps to keep these portions of your body in proper alignment while you sleep (regardless of sleeping position). Want a mattress that is good for any sleeping position. If you want a mattress that is good for anyone (whether you sleep on your side, your back, or your stomach) then the Real Sleep mattress is a good choice for you. Because the specially designed foam layers of this mattress offer a powerful combination of both comfort and support, this mattress is great for any sleep position. Want a mattress made out of the best materials. Not only does this mattress have an organic cotton cover, but all the foams used in its construction are CertiPUR-US certified, meaning that there are no harmful chemicals or toxins in the mattress; this makes it safe for both you and the environment. Want a mattress that is good for reducing motion transference. Because this mattress is constructed entirely out of high quality memory foams, it is a great choice for reducing the impact of vibrations (specifically, vibrations caused by movement, such as getting into or out of bed or changing position). Do not like memory foam. If you’re someone who just doesn’t like memory foam (whether it’s for the sinking sensation that accompanies the comfort layer as it contours to your body or for the way a memory foam mattress doesn’t offer quite as much support as an innerspring or hybrid mattress) then the Real Sleep is probably not the right choice for you. Want a hybrid mattress. While the Real Sleep can offer both comfort and support (similar to a hybrid mattress) If you want something that offers both memory foam and spring coils, then the Real Sleep mattress is not going to work for you. Want a very responsive mattress. 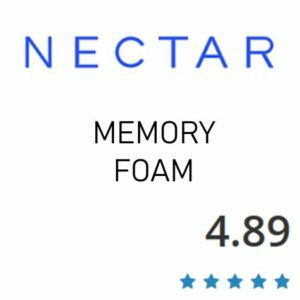 This mattress is more responsive than most traditional memory foam mattresses, but if you’re looking for something with more bounce (like an innerspring or a hybrid) then you’re going to want to purchase something else. Are on a tight budget. Because it is made from high quality materials and crafted according to very high standards, the Real Sleep mattress is admittedly a bit mroe on the expensive side when compared to similar bed-in-a-box products. As a result, if you’re on a budget when it comes to mattress shopping, you may want to consider another option. 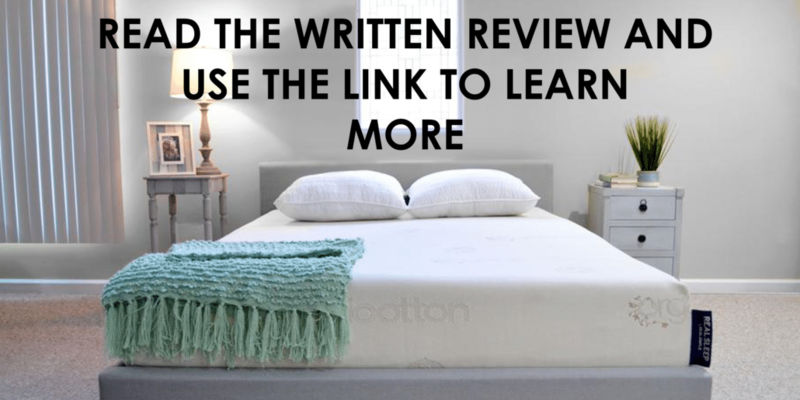 According to information from both the Real Sleep website itself as well as other customer reviews, the Real Sleep mattress offers a medium-firm feel; generally, it’s given a 7 on a traditional firmness scale of 1 to 10. It is also notable for offering both great support (thanks to the high-density foam core that makes up the foundation layer of the matter) and excellent comfort (thanks to the top layer of the mattress, which is made out of special memory foam that is designed to be more responsive than other memory foams while also contouring to your body). This means that this mattress is a great choice for any sleeping position, since it will adjust to your individual body shape and provide pressure relief and support accordingly while also giving you high levels of comfort. Additionally, because of this mattress’s unique and versatile design, it can be used on any flat surface; whether you want to put your mattress on an adjustable base, on top of a box spring, or even just on the floor, you can do so without worrying about compromising the feel and firmness of the mattress. ecause this mattress is constructed entirely out of different memory foam products, it is an excellent choice if you want something to minimize motion transference (the phenomena where movement in one portion of the mattress causes vibrations to spread throughout the rest of the mattress, potentially disturbing your sleeping partner). Since this mattress has both a comfort-oriented top layer and a high-density base layer for the foundation, it’s great at absorbing the majority of vibrations caused by movement. This means that even if you or your sleeping partner change position in the middle of the night (or even get out of bed entirely), the other person will not be disturbed by that movement. Because this mattress is constructed out of foams, it doesn’t offer high levels of edge support like innerspring and hybrid mattresses do. That being said, thanks to the high density foundation layer, it does have better edge support than other bed-in-a-box brands. Even so, you should take care to not rest too much of your body weight on the edge for extended periods of time, since doing so could potentially result in the edges of the mattress breaking down (which in turn can cause the mattress to lose its overall shape and stability). In the laying down position (which is what matters most) you will not have a roll of the bed feeling. The Real Sleep mattress is ten inches thick, and is constructed entirely out of a high-quality foam known as FloraFoam, and consists of two main layers. The top layer is the comfort layer; it is about three inches thick. In addition to conforming to the contours of your body to help provide both pressure relief and comfort, this layer also features an open cell design that (as we mentioned a moment ago) promotes increased air flow and better temperature regulation throughout the mattress. The bottom layer is about seven inches thick and is made out of denser base foam that provides the mattress with a tremendous amount of support, which helps to keep your spine and joints in proper alignment while you sleep; this firm foundation layer also helps the mattress to retain its shape and thickness over time. And finally, the entire mattress is wrapped in an incredibly high-quality cover that is made out of organic cotton; not only is this cover great in terms of comfort, it can also help with wicking away moisture to keep you cool while you rest. 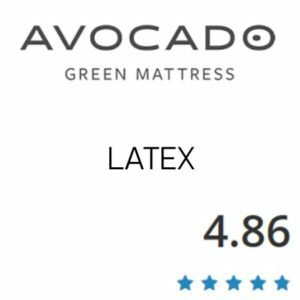 Additionally, one more notable aspect of this mattress is that is is made entirely from CertiPUR-US certified foams, meaning that it is free from all potentially harmful chemicals and toxins. Real Sleep mattresses are made with great care and with only the best materials in order to guarantee that they are both safe for you to use and environmentally friendly. Real Sleep also features a cover that is both breathable and stylish. The Real Sleep will work great on any solid surface. The floor, platform slats, boxspring/foundation and they now offer an adjustable base as well. 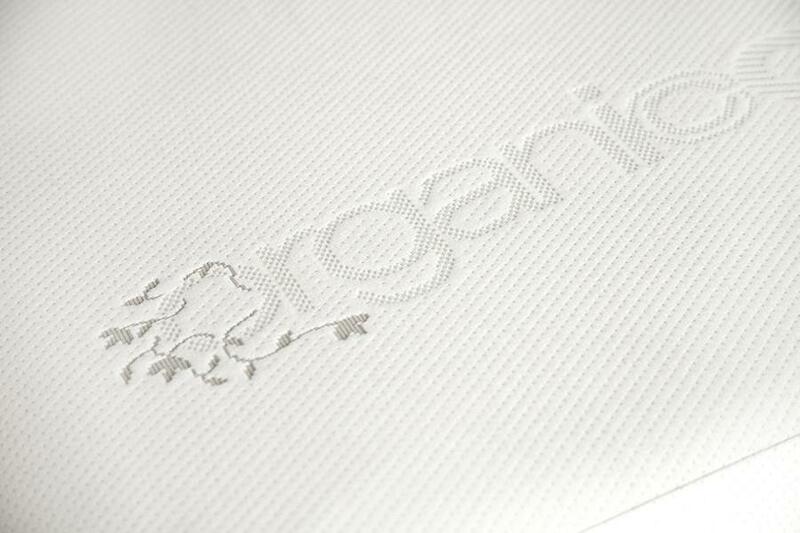 This mattress is designed to help promote comfort while you sleep, and that extends to temperature regulation as well. The Real Sleep mattress utilizes special open cells that are designed to help increase air flow and draw heat away from your body while you sleep, thereby promoting a cooler and more comfortable night of rest. 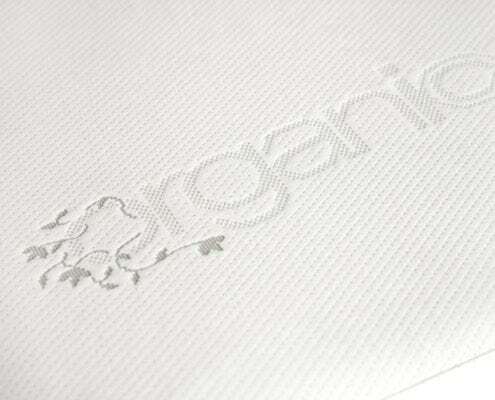 The organic cotton cover is also helpful for wicking away excess moisture and helping you to sleep cool as well. While understanding the technical qualities and specifications of a product is certainly important for determining whether or not it might be right for you, nothing is quite as helpful for making a decision as the feedback from other people who have tried that product. This is especially true when shopping for mattresses, because everyone has different perspectives on what is important in a mattress. With that in mind, we’ve compiled here some of the more informative reviews for the Real Sleep mattress. We hope you find them helpful for figuring out whether or not the Real Sleep mattress is a good choice is right for you. “We LOVE our new Real Sleep mattress. It’s super easy to unpack and set up. The bed itself is cool, and just the right amount of softness. I’m glad that it’s medium firm – I think it’s perfect for me. My boyfriend and dogs also love it. I’m a side sleeper and he sleeps on his back. 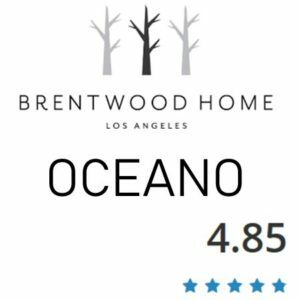 We find it to be some of the best sleep we have had and def better than any other mattress we have ever owned. Glad we chose Real Sleep.” -Mae E.
“I have been so pleased with this mattress. I had been sleeping on a regular mattress for years and was finding recently that my quality of sleep was decreasing and I would frequently wake up with a sore neck and shoulders (not typical for me). My mattress was old enough that I needed to think about a new one. After doing some research I decided on Real Sleep. will be buying a new bed in the fall and was using this mattress as a test run. After having the chance to sleep on it for a month, I have decided that I will be buying another Real Sleep mattress when I purchase my new bedroom furniture. Love the mattress. ” – Lindsay H.
“I bought the Real Sleep mattress to replace a traditional innerspring mattress and box spring that I haven’t been sleeping well on for months. I was a bit skeptical about buying a mattress online, especially since I didn’t know anyone personally with this mattress and had never slept on anything other than an innerspring. The mattress materials, manufacturing location and practices really got me interested. The 100 night guarantee, free shipping, and % off coupon really sold me. I had nothing to lose except for my morning backache! I’ve been sleeping so much better since the first night! Mattress was shipped promptly to my door, packaged well (but not excessively), looked beautiful and didn’t have any chemical or other “off” smells once out of the packaging.” -Weber S.
“The Real Sleep memory foam mattress is definitely different from the standard mattress I have been sleeping on for the last 12 years! The first night, I was concerned that I would have difficulty sleeping, since it felt so different. I was wrong! I had no difficulty falling asleep, and I didn’t toss and turn like I usually did on my old mattress. The bed was super cool and comfortable, and the mattress conformed to my body when I slept on my side and on my stomach. I woke up feeling refreshed and rested, in a way I hadn’t in years. They say it takes a while to get used to a different kind of mattress, but I only needed one night to become a convert.” – Trish H.
Because the company wants you to be satisfied with your Real Sleep mattress, it comes with a risk-free trial period of one hundred nights. If you end up dissatisfied with your Real Sleep mattress for any reason at all during this trial period, you can return it hassle-free at no additional cost to you. Additionally, this mattress also comes with a ten year warranty as well.